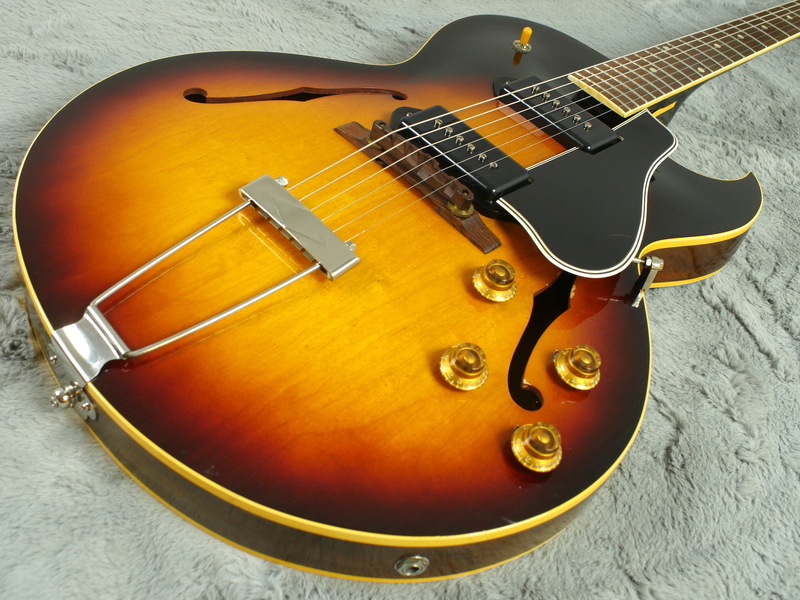 Move over hot cakes, it seems that the phrase should be ‘selling like ES-225s’. 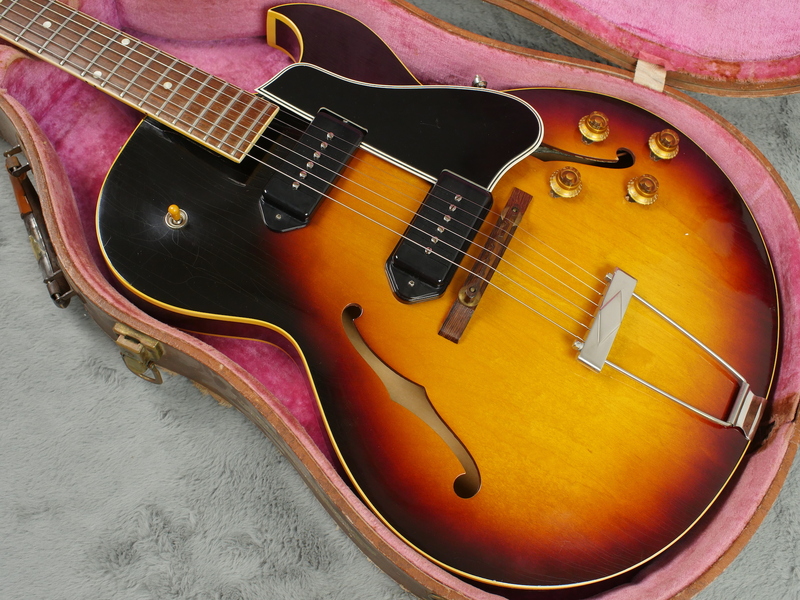 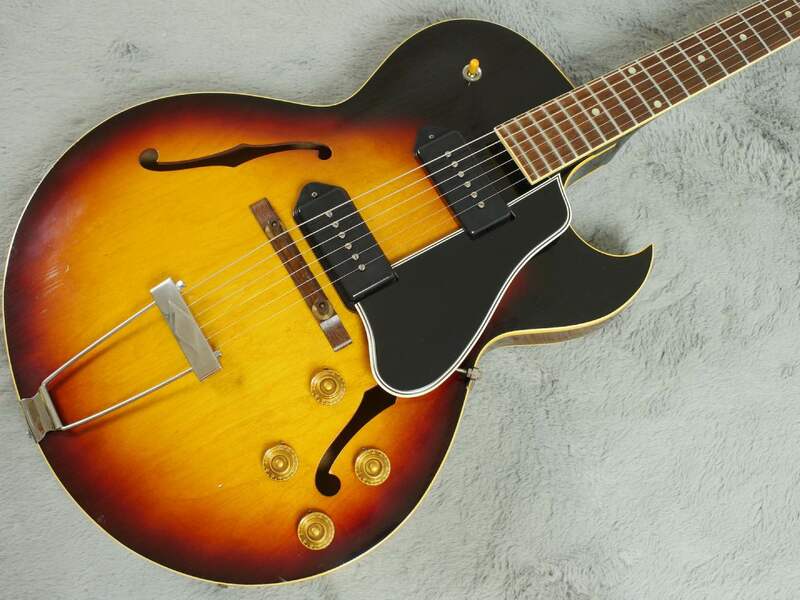 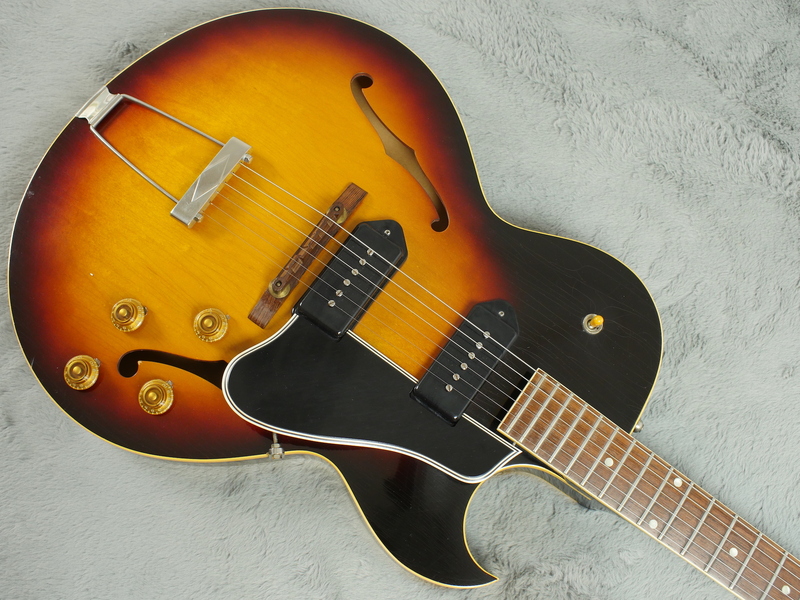 A very popular choice of guitar here, this 1959 Gibson ES-225TD is one of many that have passed through our hands this year alone. 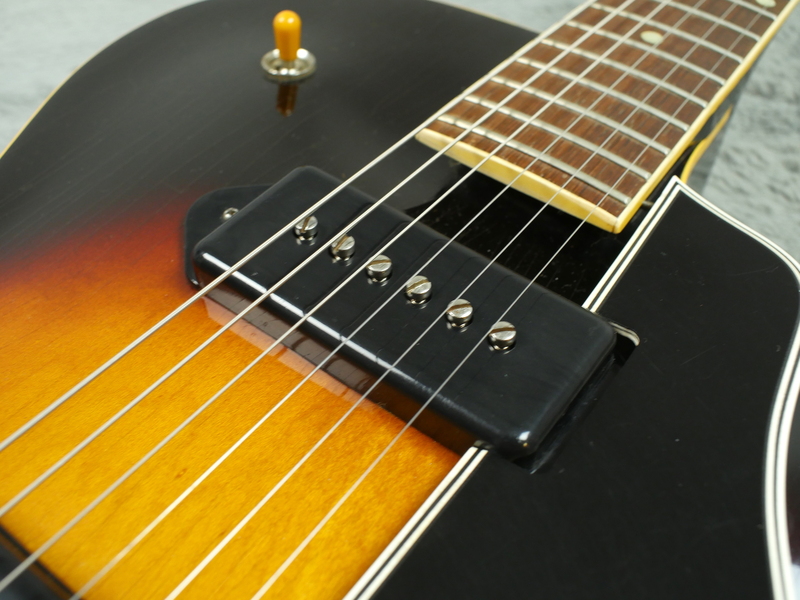 These guitars have definitely been a sleeper amongst their more illustrious brothers and sisters. 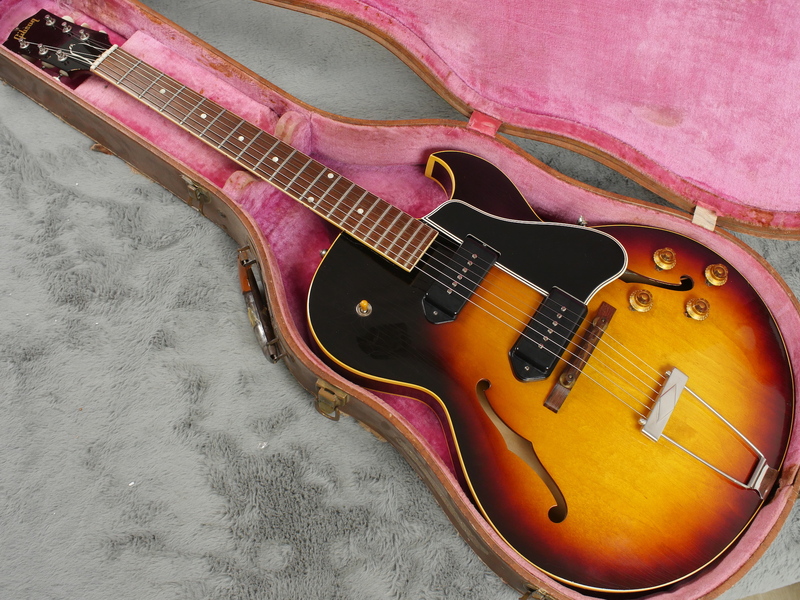 Introduced in 1955, the instrument went through a few changes before being usurped by the ES-330 in 1959. 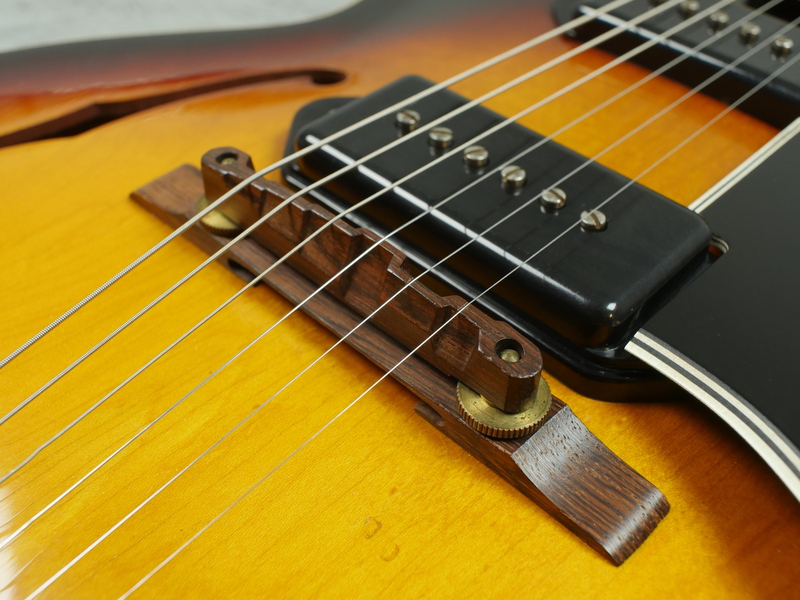 The various configurations of pickups and bridge/tailpieces have divided opinions for years which has meant that this guitar has often been over looked and its phenomenal tonal characteristics unrealised. 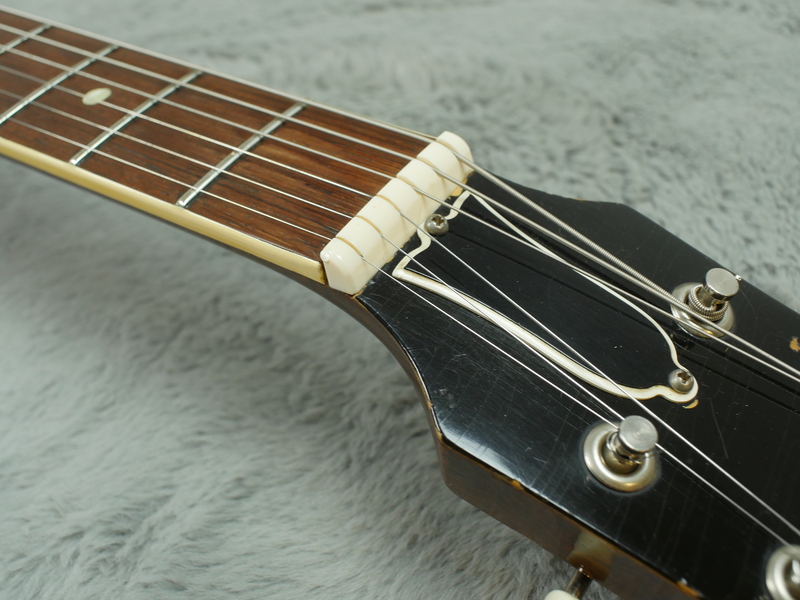 This is very much the case here with this guitar. 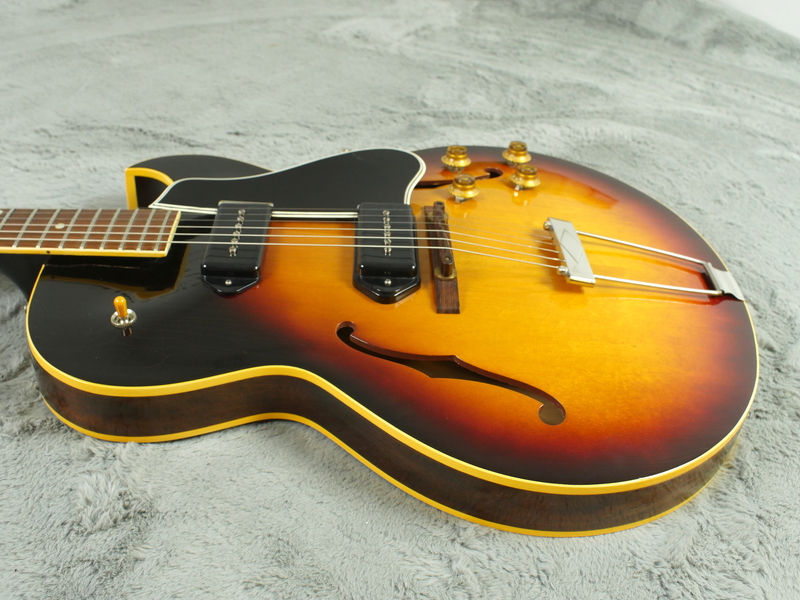 This guitar is truly first-rate. 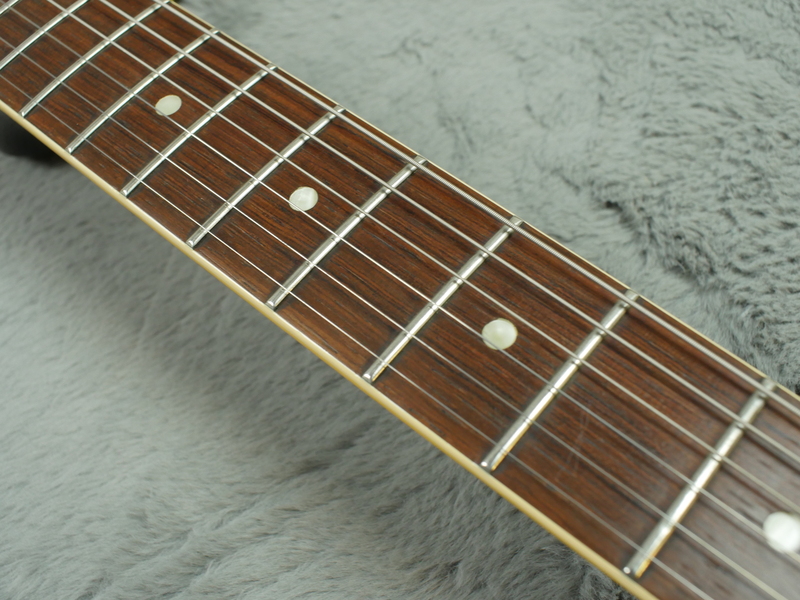 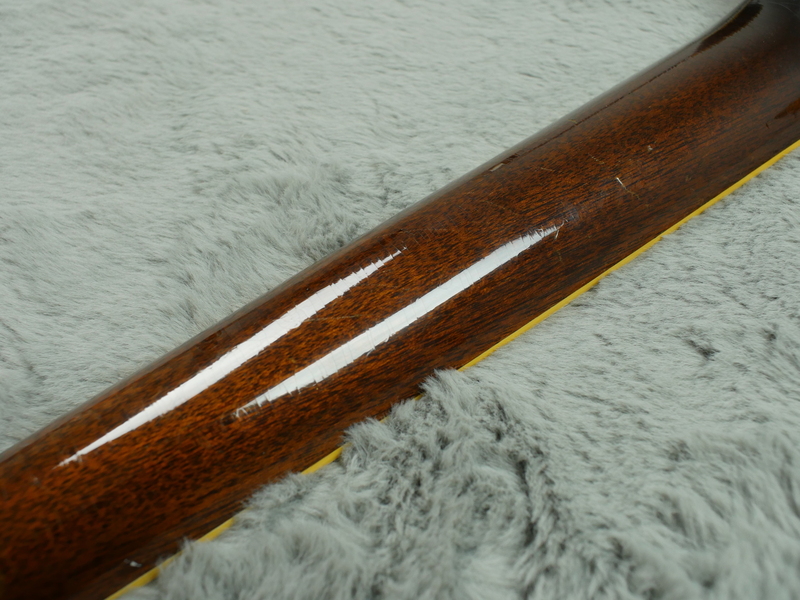 The back of the neck shows very little wear and the fretboard and frets are in fantastic shape. 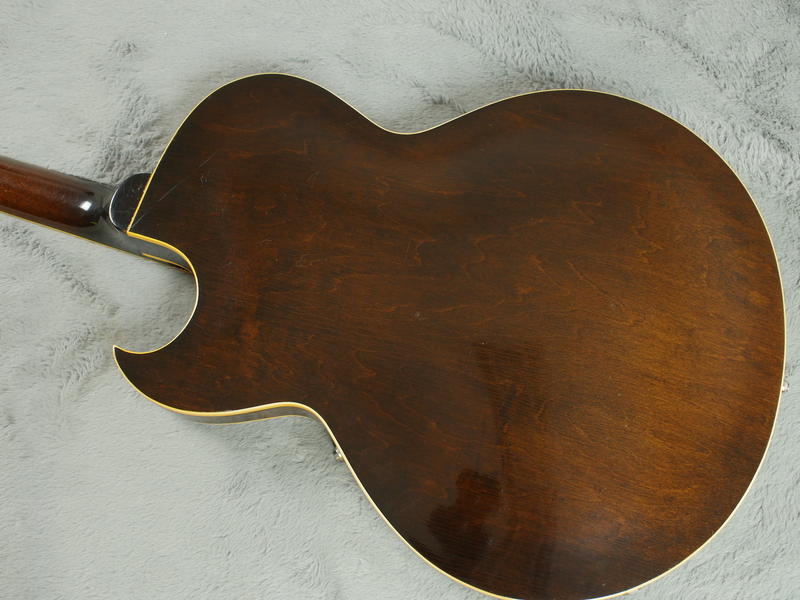 The body too has been well looked after, the sunburst finish having escaped too much fading. 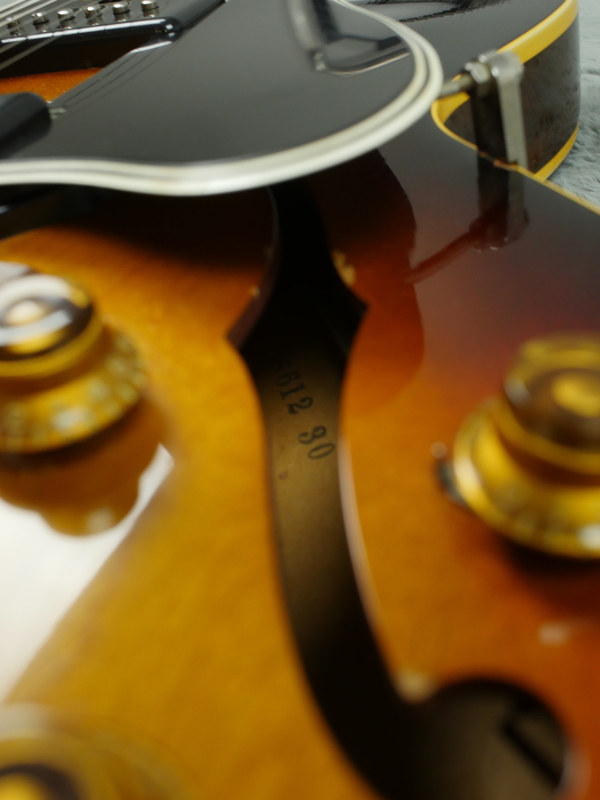 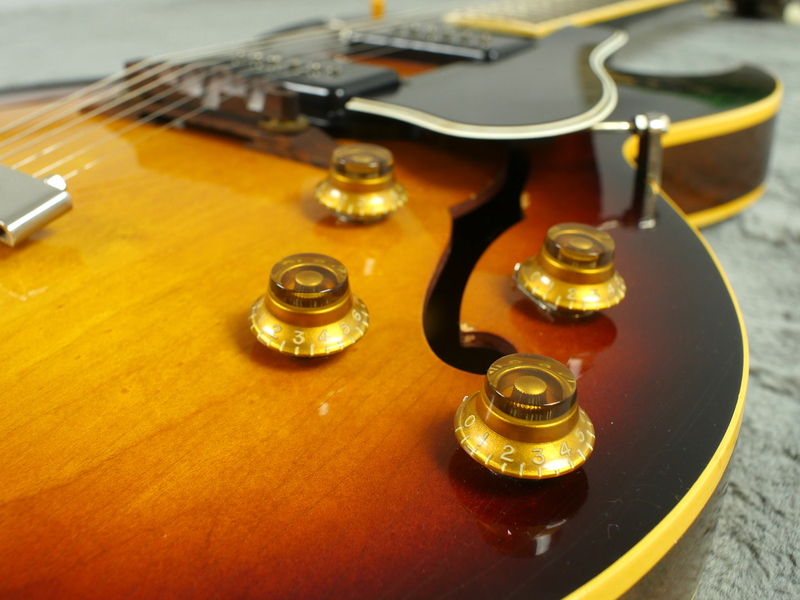 In fact, apart from a few scratches near the tailpiece the body has retained its vibrancy. 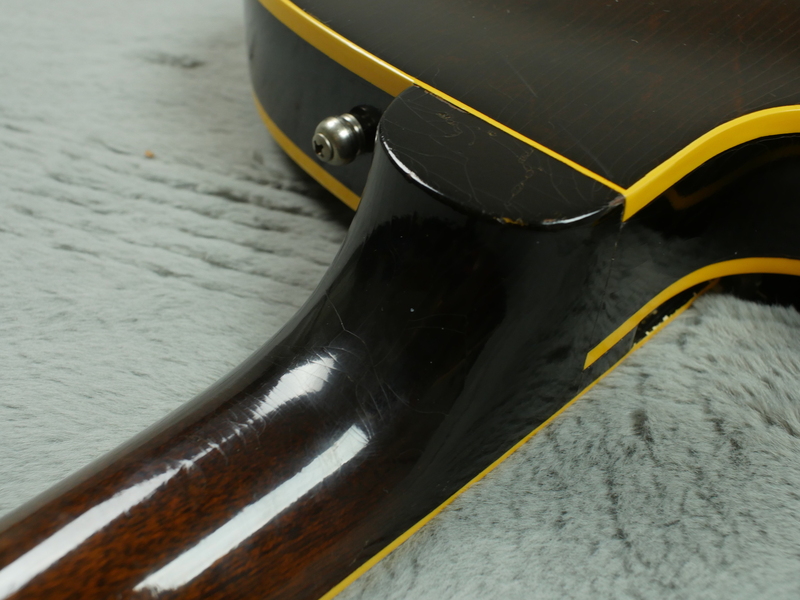 The plastics too are in good shape, the pickguard hasn’t warped as much as can be found with its contemporaries and the p90 covers and knobs are great. 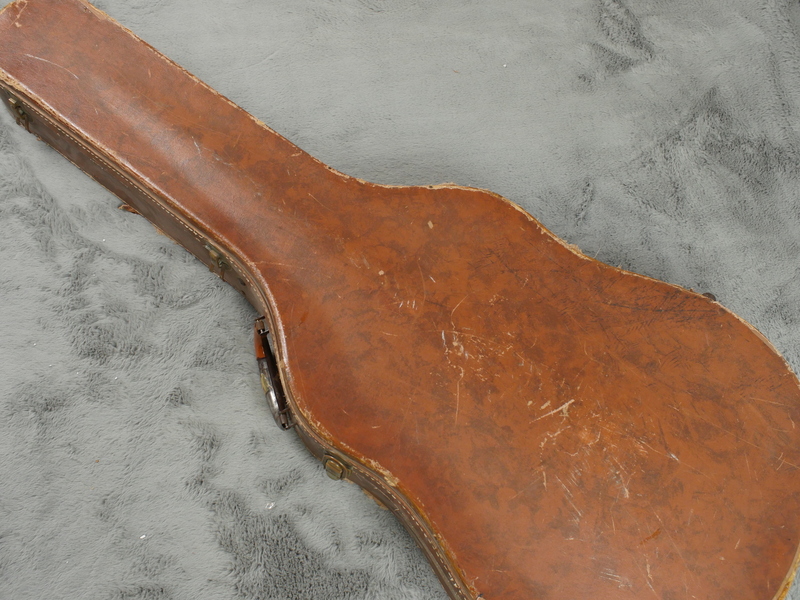 In addition this guitar comes with a 5 latch Lifton hardshell case. 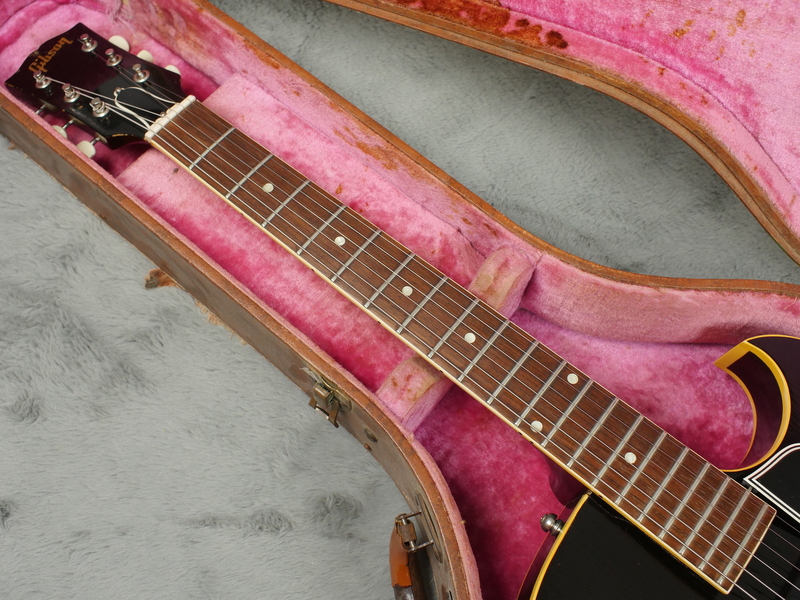 In its self a valuable item and a bonus. 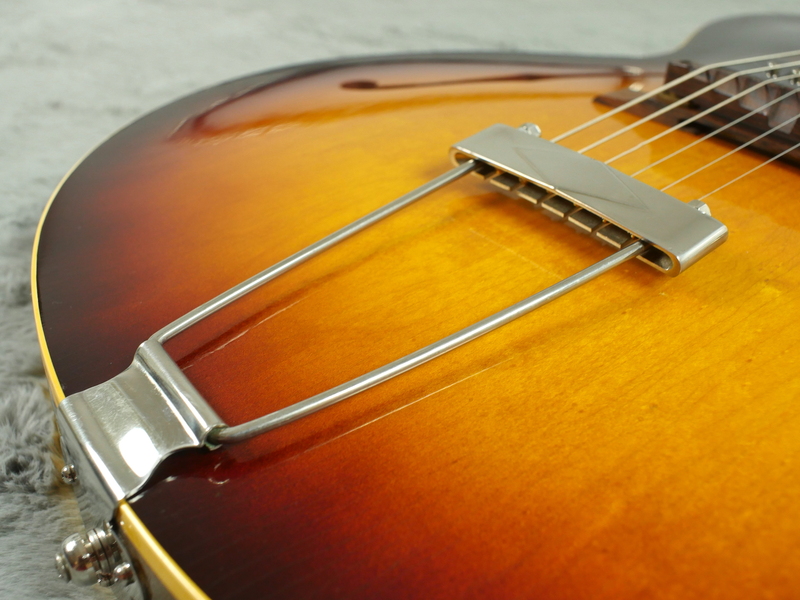 As it was constructed in 1959, as many of you will know a classic year for Gibson guitars, this guitar features that illustrious neck profile. 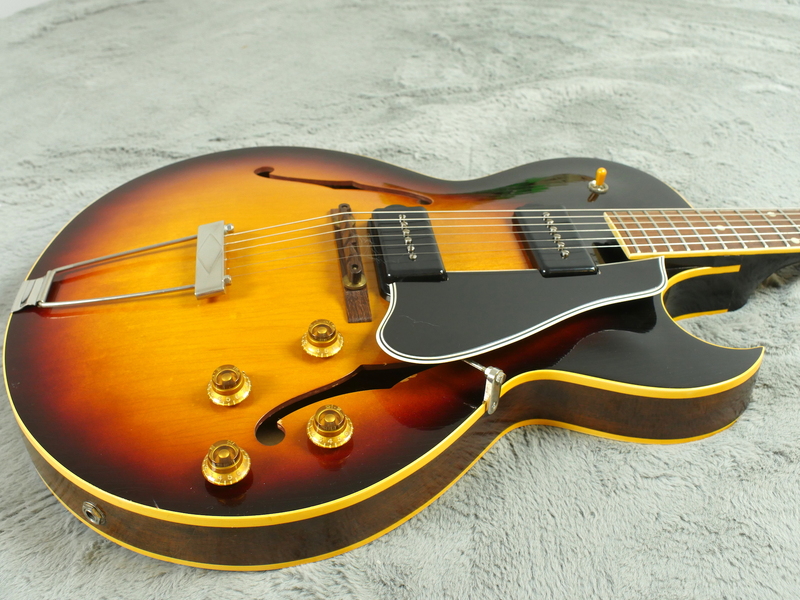 Combined with the a pair of P90s, this guitar really sings. 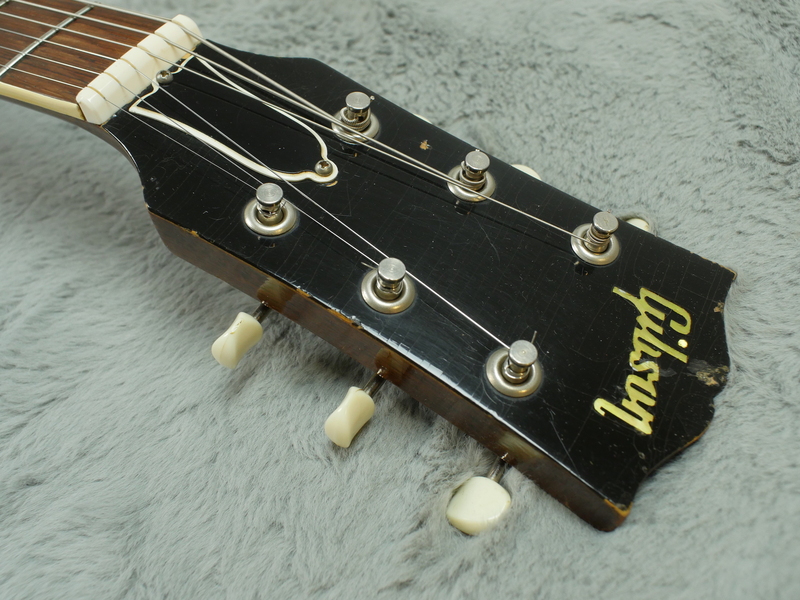 As previously mentioned, the ES-225 went through a few configuration changes during its time and there is much speculation surrounding the bridge setups. 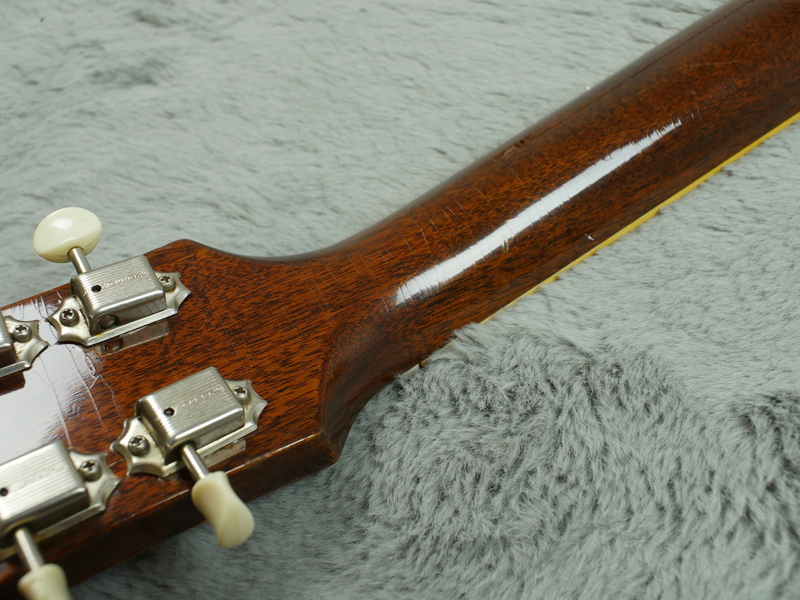 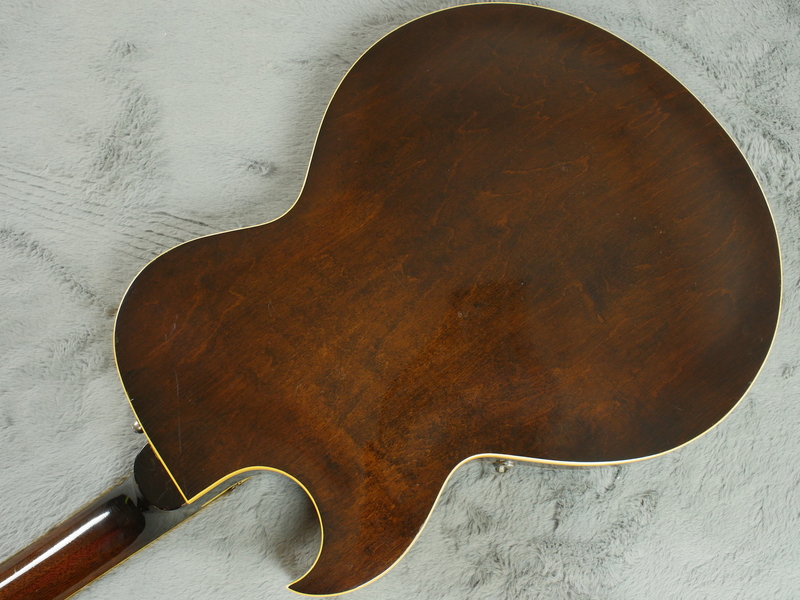 The rosewood bridge and tailpiece on this guitar lends it a woody acoustic tone, more akin to early ES-175s. 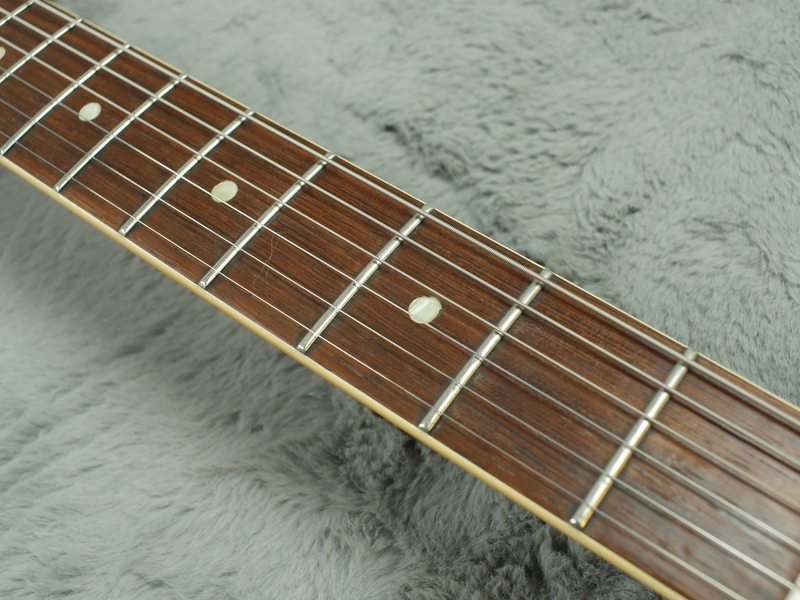 The thinner depth of the body means that the guitar is less susceptible to feedback compared to its counterparts giving you the scope to explore the snarlier end of the pickups’ capabilities. 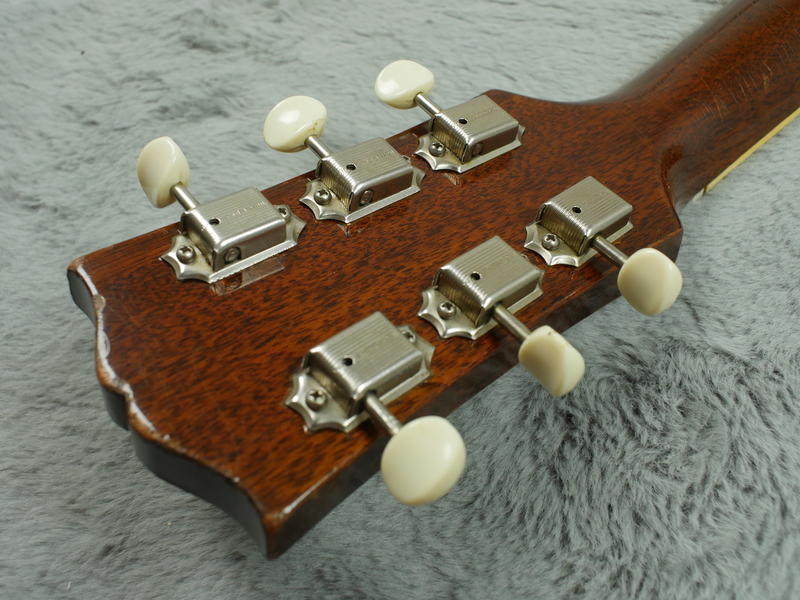 The electronics are infinitely flexible, with both volume and tone reacting in various ways together to yield many tonal variations, complimenting the guitars intrinsic timbre. 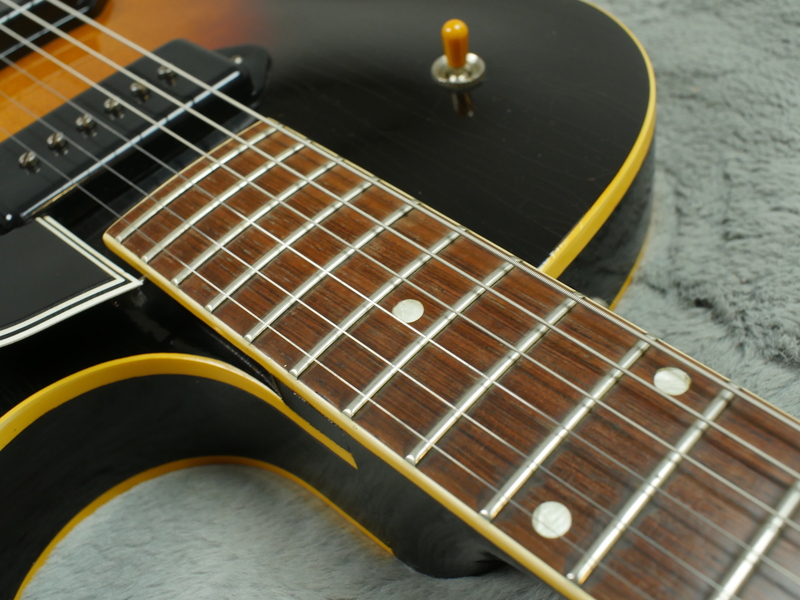 In fact, compared to solid bodied Gibsons of similar age, this guitar gives them a run for their money. 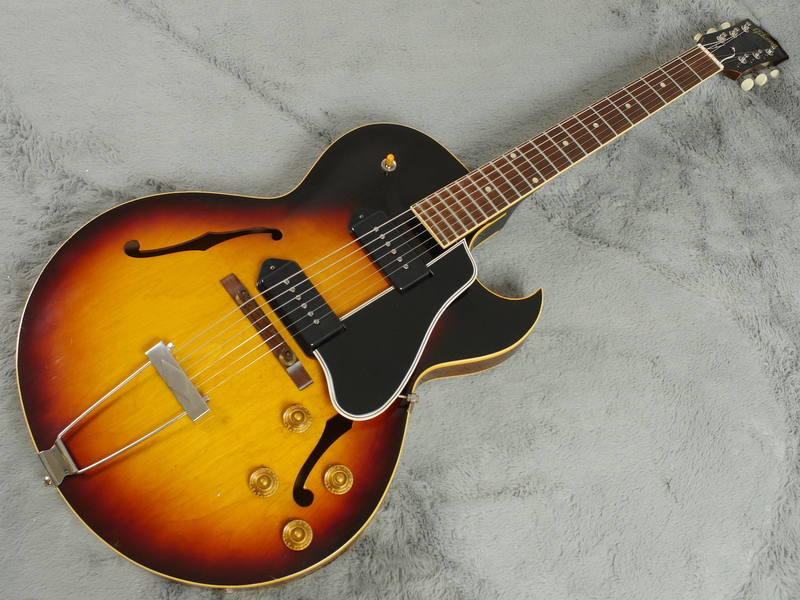 The ES-225’s star is definitely on the rise as more and more players are waking up to the possibilities hidden beneath its humble surface. 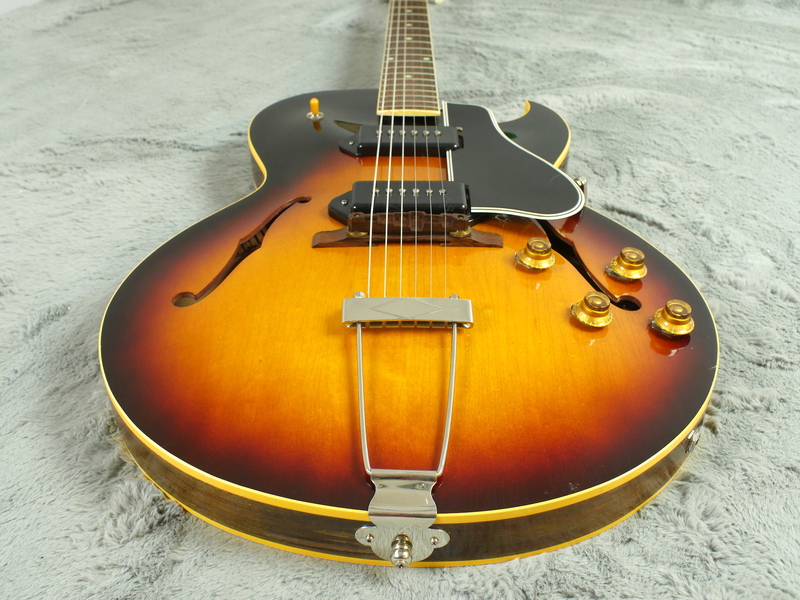 These don’t hang around for very long so grab a bargain whilst you still can.